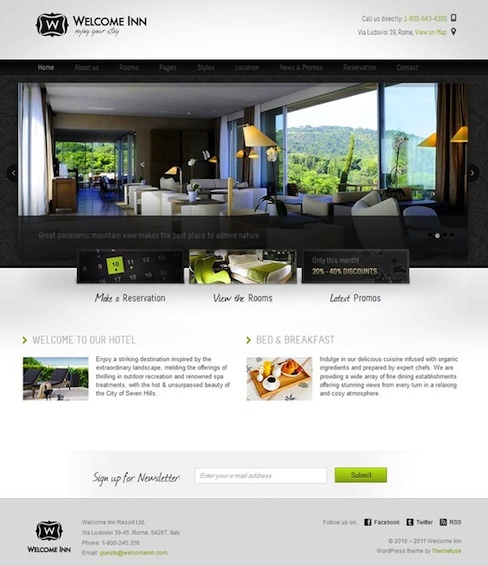 Welcome Inn is a hotel WordPress theme has all it takes to be the smartest choice when in search for a hotel website template. Use this theme for your website and watch the clients pouring in. Features include online booking with calendar, room features, photo gallery news and promos, google maps integrated, google maps integrated, shortcodes and more.